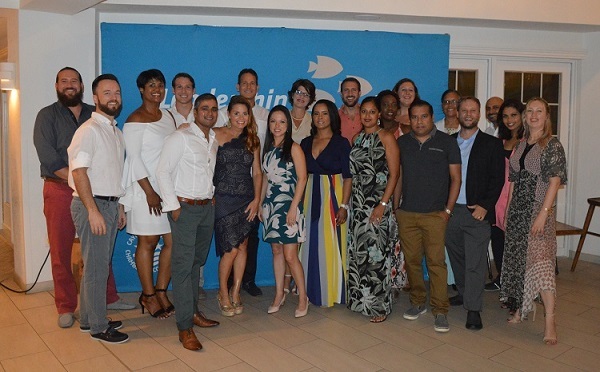 25 members of this year’s Leadership Cayman (LC) class celebrated the successful completion of the six-month programme on Saturday, June 23 at a graduation ceremony at the Grand Cayman Marriott Beach Resort. Launched by the Chamber of Commerce in 2010, LC enables participants to acquire an in-depth view of social, economic, business and political issues, develop the necessary skills to assume leadership roles, and to get involved in community projects. 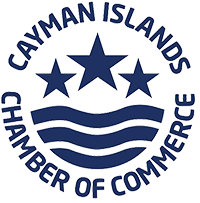 LC transforms lives and helps to motivate some of Cayman’s top leaders to contribute even more to society. “Leadership Cayman has been an incredible experience that has enlightened me about some of the significant challenges facing our community and how I can make an impact,” said class member Grant Hiley, who works at Deloitte. “I found the programme to be an incredibly rewarding experience, and I am very thankful to have met such a great group of people. The programme allowed us to be able to gain deeper insight into many aspects of the Cayman Islands, a place that I feel extremely grateful to be able to call home,” added Jenny Pooley from Strategic Risk Solutions. Class members were presented with graduation plaques and certificates by past LC graduate and Class Chair, Pamela Ebanks-Small. Pamela provided the class with an overview of the year which included visits to the Sister Islands, Pedro St. James, the Crystal Caves, and the Legislative Assembly. During their trip to the Sister Islands, the class engaged in a beach clean-up on Cayman Brac. The class also dedicated their class project to spending an afternoon with children from the Big Brothers Big Sisters initiative, playing games and engaging in fun activities. “As I reflect on the past six months, I think about the journey we have all gone through,” said Pamela. “I congratulate each of you on your graduation tonight and finding the time over the past six months to take part in this programme. I truly look forward to this class doing great things in the future and hope that you let me know when you do,” she added. President Paul Byles presented Mrs. Ebanks-Small with a gift as a token of appreciation on behalf of the Chamber, and delivered a few words of congratulations to the class. “Looking around the room, I know that all of you will impact those around you and the wider community for the better,” he said. If you are, or anyone you know is, interested in enrolling in the 2019 Leadership Cayman programme, please visit www.leadershipcayman.ky. Applications will start being accepted on August 1, 2018.